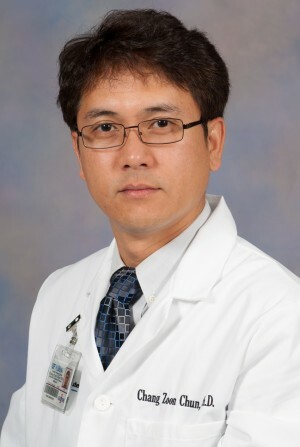 Dr. Chun received his B.S and Masters from Pukyung National University and received his PhD from the University of Connecticut with Dr. Thomas Chen and continued his time in Connecticut to do a postdoctorate. He then moved to Medical College of Wisconsin to do a second postdoctorate with Dr. Ramchandran. He is currently investigating the role that a phosphatase, Dusp-5, and kinase, Snrk-1, play in blood vessel formation. He will be continuing his work on vascular development with us at the University of Florida.